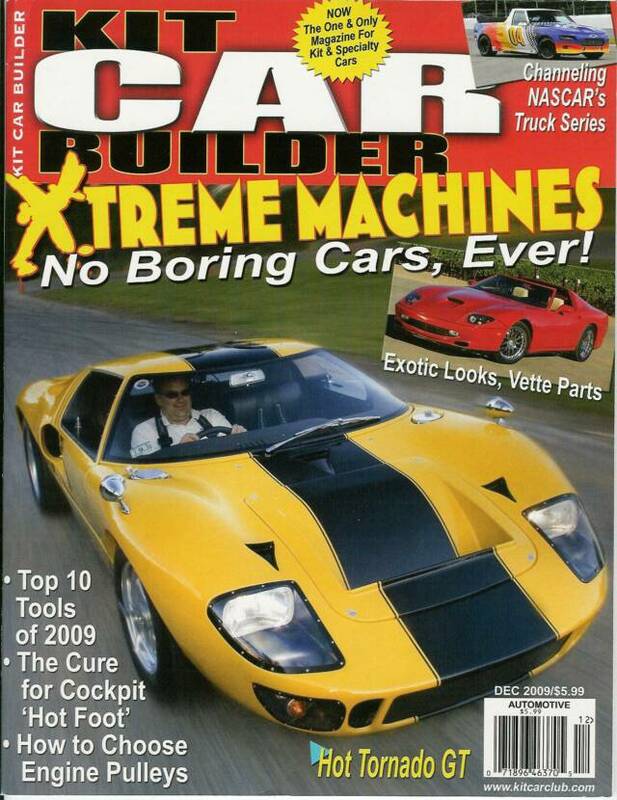 Scott Calabro's GT-40 kit car, not only made the cover of Kit Car Builder Magazine, but was also the centerfold ! This ain't no volkswagen powered Kit. This is the most accurate reproduction on the market today. 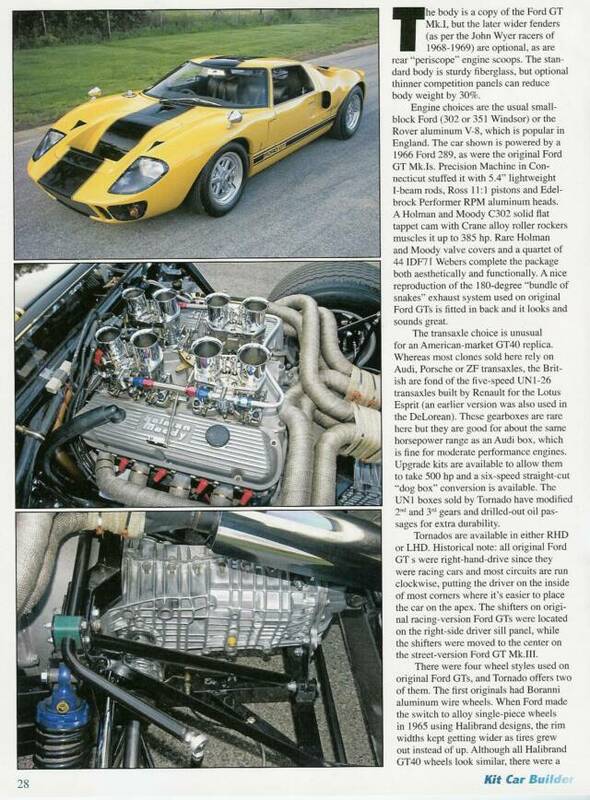 Check out the motor and suspension in this exotic. Scott came to me a couple of years ago, when he was ready for body and paint. I got right to it, as we had a deadline we were trying to meet. 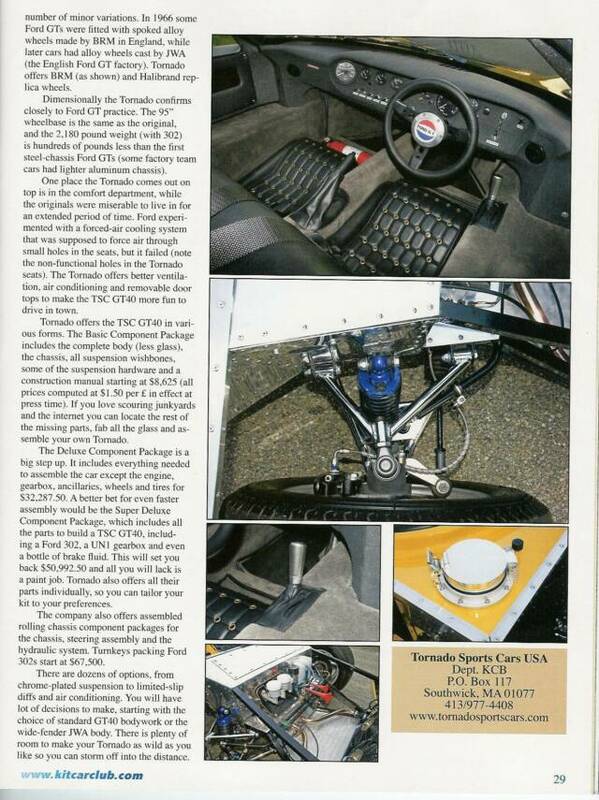 The Lime Rock Vintage Fest was due to take place in 5 weeks. I got it done in 4, and off he went. If you are a regular visitor to this site, you may have followed along with the project. If you missed it, it's still posted on the site. So, grab something cold to drink , sit back and give this monster a good going over. Who knows, there might be one in your future. 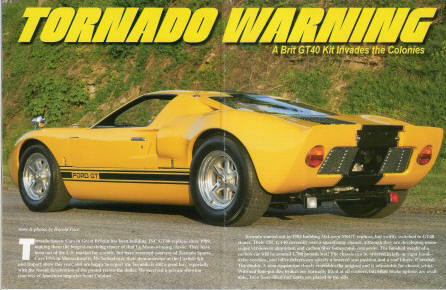 Scott is the North American Distributor , for Tornado Sports Cars. based in England. I took a ride in this one afternoon, and let me tell you, first hand. This thing is crazy fast ! The g-force, pins you right in the seat, and with the windshield 10" from your face, it is one extremely wild ride. Can't wait to go again !